Cooperstown Brewing Company – Ep. 76 | Beer America TV - Craft Beer in Motion! When you think of Cooperstown, New York, you most certainly think of the Baseball Hall of Fame, and, for beer lovers, Brewery Ommegang. 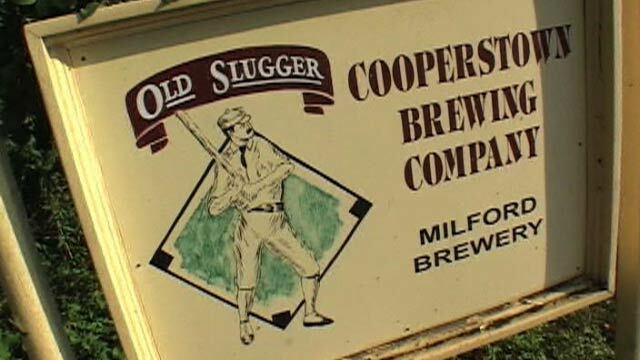 But there is another hidden treasure just a few miles down the road for craft beer lovers, and thats the Cooperstown Brewing Company. Founded in 1994, their baseball themed beers are the real deal and brewed with a rich tradition behind them. They even grow their own hops right on site! So if your in Cooperstown, do yourself a favor and drive 5 minutes south, you’ll be glad you did! Very cool. I love that more brewers are growing their own hops.